HICKORY, NC (June 18, 2013) – Transportation Insight has been selected by Logistics Quarterly magazine as a Top 40 North American 3PL in the publication’s ninth annual compilation of the best logistics providers across the continent. This highly regarded list features leading 3PLs conducting business in the United States and Canada. Transportation Insight defines and implements continuous improvement through an Extended LEAN™ approach. One of the most effective methods for enhancing the performance of a company’s supply chain, Extended LEAN examines processes outside a company’s four walls, applying LEAN principles throughout its supply chain. While maintaining and building upon existing capabilities and resources, companies connect the units of their supply chain and then perfect the system to create industry-wide value stream networks that build competitive advantage. 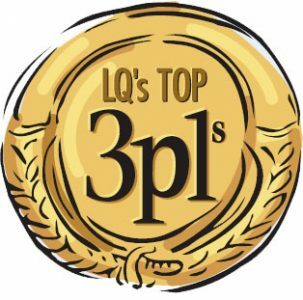 Logistics Quarterly’s Ninth Edition of its annual Top 40 North American 3PLs features leading U.S. and Canadian 3PLs conducting business in the United States and Canada. The magazine profiles North America’s Top 3PLs based on the following criteria: revenue, service area, assets, information systems, services, industry focus/key customers. In addition, each profile contains an evaluation by Armstrong & Associates, a leader in supply chain market research.